The main conference hall that accommodates 800 delegates can be found on the ground floor of Porto Heli Conference Centre, along with the auxiliary hall for 200 delegates, as well as an 800 sq. m. exhibition area. The Conference Centre guarantees the success of every event with state-of-the-art services and high aesthetics. The sun-bathed exhibition area can be used with great flexibility: place stands to showcase specialized products or bring in large exhibits, organize galas and receptions, luxurious fashion shows, theme nights, even car shows. The special transport ramps for loading and unloading materials, the immediate tech support from our expert staff, as well as the quality audiovisual systems will greatly facilitate the organisers of a plethora of events. The 400 sq. 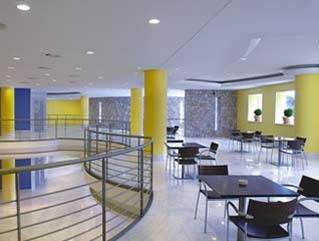 m. mezzanine is ideal for satisfying the event’s and the delegates’ needs. 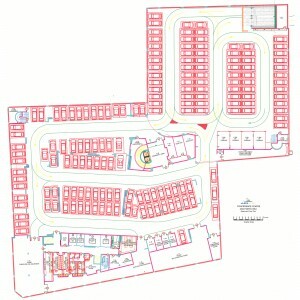 Make your plan and we will offer you the appropriate equipment to bring it to fruition. Use it as an exhibition area, as a relaxation room, for private meetings or subsequent sessions. 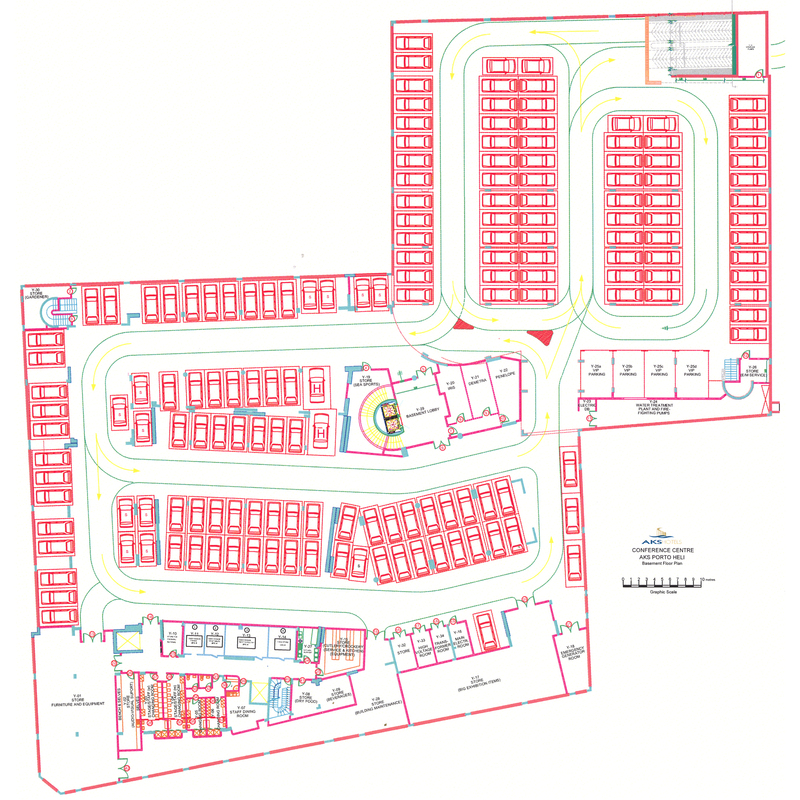 Underground parking for 170 spaces in high security garage and storage place of 150m² for the conference organizer.